…and not a pooch in sight! Now, just to clear things up, the Dogfish is not a fish that barks or has a wagging tail. In fact, it couldn’t be further removed from our canine friends. 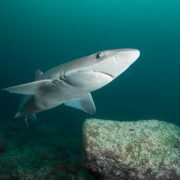 The Dogfish is in fact a member of the shark family. Perhaps canines of the teeth variety is the closest connection between the dog and Dogfish. 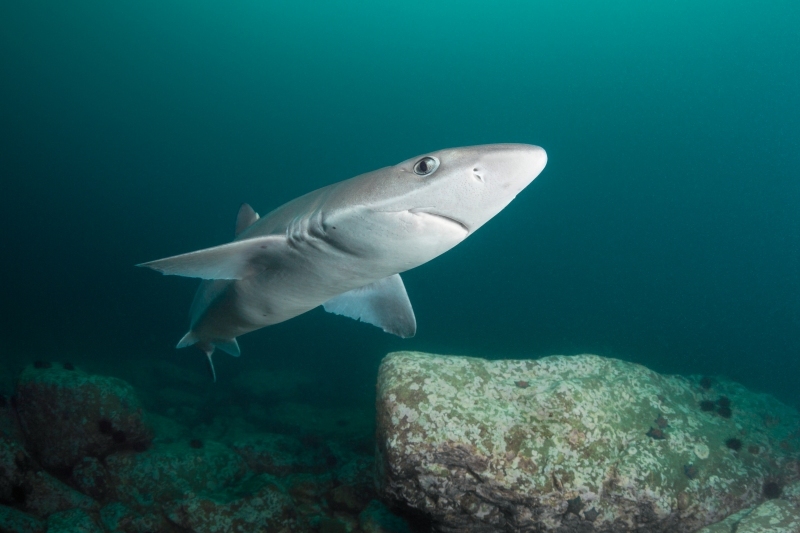 Their one other similarity with dogs is that there are many species of Dogfish too – all varying in appearance, size and where they inhabit water. Here at the Aquarium we currently have two species of the Dogfish that are noticeably different from each other. The first is the Lesser Spotted Dogfish which is sometimes called a Small Spotted Catshark (yes, we know – they don’t miaow either) but is better known as a Dogfish. The second species is called a Bull Huss which is less common that the Lesser Spotted Dogfish. The most noticeable difference between the two species is their size. For a relatively small shark, our Lesser Spotted Dogfish are full of personality and craziness. For example, our largest resident Lesser is a big female called Mad Dog. And, in a case of ‘so unoriginal it feels original’, the smallest resident Lesser is a male called Little Mad Dog. We said “hello” to some new arrivals at the end of 2014 when we introduced three Bull Huss to the Aquarium. The trio have rather aptly been named after their scientific name, Scyliorhinus stellaris. The two larger females are called Stella and Grolsch and the smaller male is called Bud. Stella and Grolsch are literally three times the size of Bud. They all get along famously though.